Comprehensive print and apply solutions, featuring label automation systems for manufacturing, warehouse, distribution, and fulfillment. Immediately elevate your manufacturing, distribution, and fulfillment processes with print-and-apply labeling automation solution from Panther Industries. Our systems provide increased throughput, reduced expenses, and decrease waste/loss to realize bottom line benefits for your business. Introducing our fastest, most adaptive label application system ever. The Predator is built for speed – and accuracy – to boost your throughput and elevate your business. This feature-rich – and all-electric – label automation system is the durable, reliable option for exceptional performance. Built on the foundations of our iconic P2000 and P8 systems, the Panther Phantom is the evolution of label automation uptime. Featuring numerous applicator options, this system can be custom-configured to address your company’s requirements to achieve maximum throughput. The Phantom is designed to run and run, so you won’t even know it’s there. Our new P5c labeling system is designed to be the smallest, simplest, and most cost-effective automated print and apply solution available. Based upon our highly acclaimed Panther P8 architecture, the P5c is a right-sized, minimal investment labeling system designed for tight locations. The P5c fits where no other system can, while utilizing an industry standard 8" supply roll. The Panther P8 is a pneumatic print-and-apply system that delivers robust labeling automation to your business. The P8 can be configured with multiple applicator options, including tamp, blow on, wipe on, swing arm, and more. 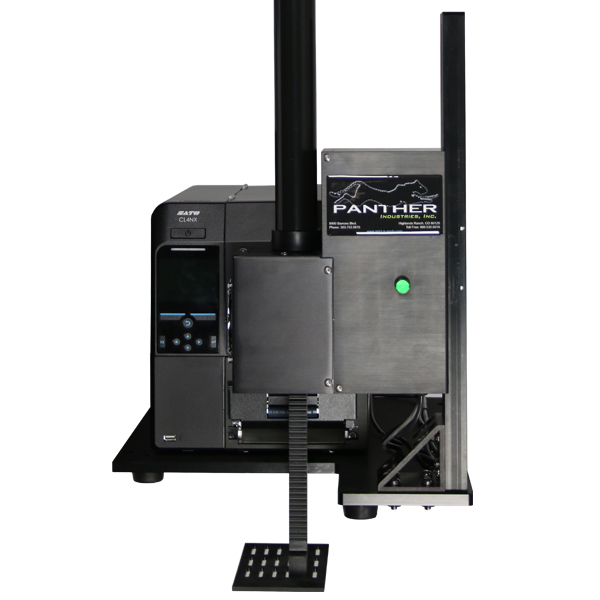 The Panther Shadow print-and-apply system is an entry level system for “real-time” on-demand labeling. The Shadow is one of the lowest cost print and apply systems on the market. 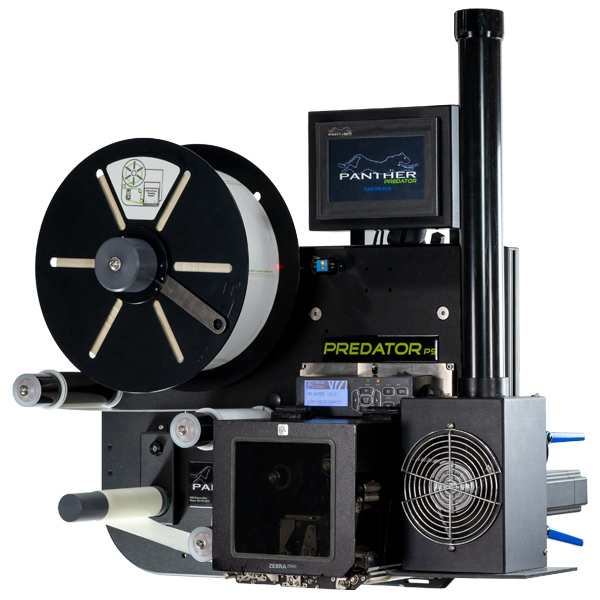 An innovative new system add-on for all Panther Industries Predator and Phantom print-and-apply labeling automation products that allows the end user to virtually monitor their print and apply environment and proactively manage both system and employee performance.